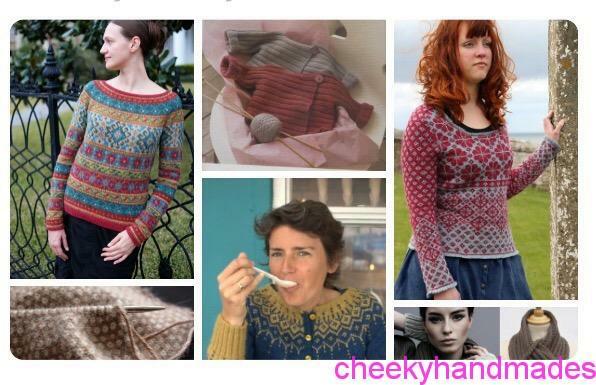 I have had an extremely productive year this year although I produced much more finished knittingprojects than sewn ones (it’s a huge addiction now, I think about knitting ALL THE TIME!). Next year no doubt I will knit about a million shawls and socks but I also want to make other planned things. Some of these are already started and been lingering, some for a long time, some of these have been planned (patterns bought even!) for a while, some of them for years. In the early part of 2016 I took part in a quilt along, making foundation paper pieced blocks from the 1930s farmer’s wife book. It was fn but super time consuming, each blocjk taking at least two hours. After 10 blocks I gave up, but I do want to turn this into something. 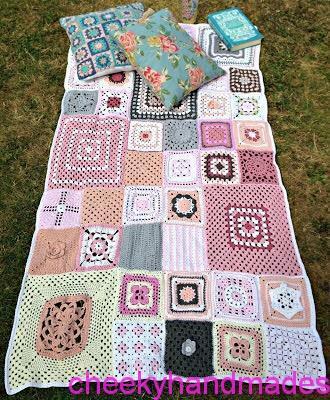 Maybe a scrappy patchy quilt along the lines of the crochet blankets below? 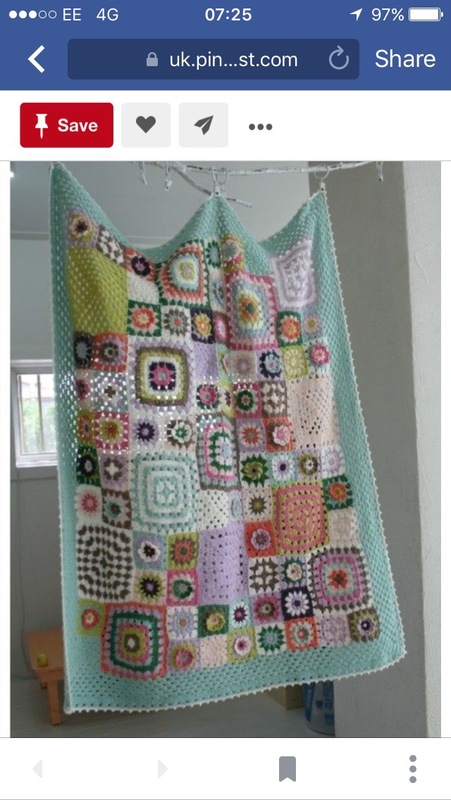 Talking of scrappy colourful blankets, the Gypsy Wife quilt pattern has been lingering in my stash for about 4 years. I LOVE the look of it but have never got further than reading the first few pages of the description. I really would like 2017 to be the year I make this! Maybe a quilt along with friends? Who’s in? 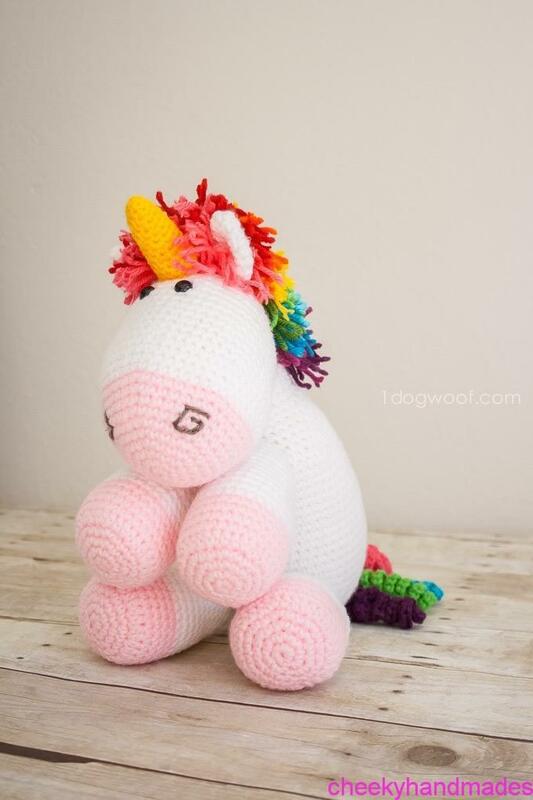 I know Sam has this pattern and not made it yet. 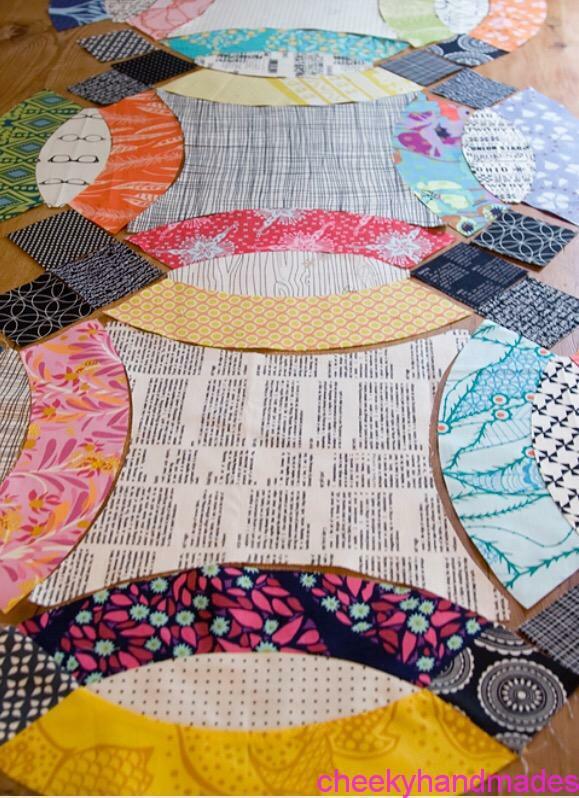 Fancy making it together in a quilting bee? Cake and tea? I have been crocheting a blanket made from all different squares since about 2014. Since before I had a boyfriend basically ;-). I have a trunk full of patches but nowhere near enough yet for a blanket. 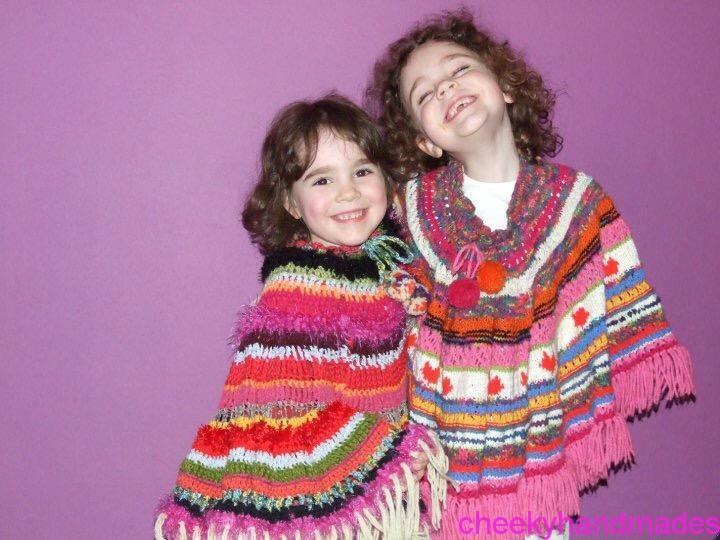 I feel inspired by the pictures of these to make it scrappy and patchy AND finish it this year. 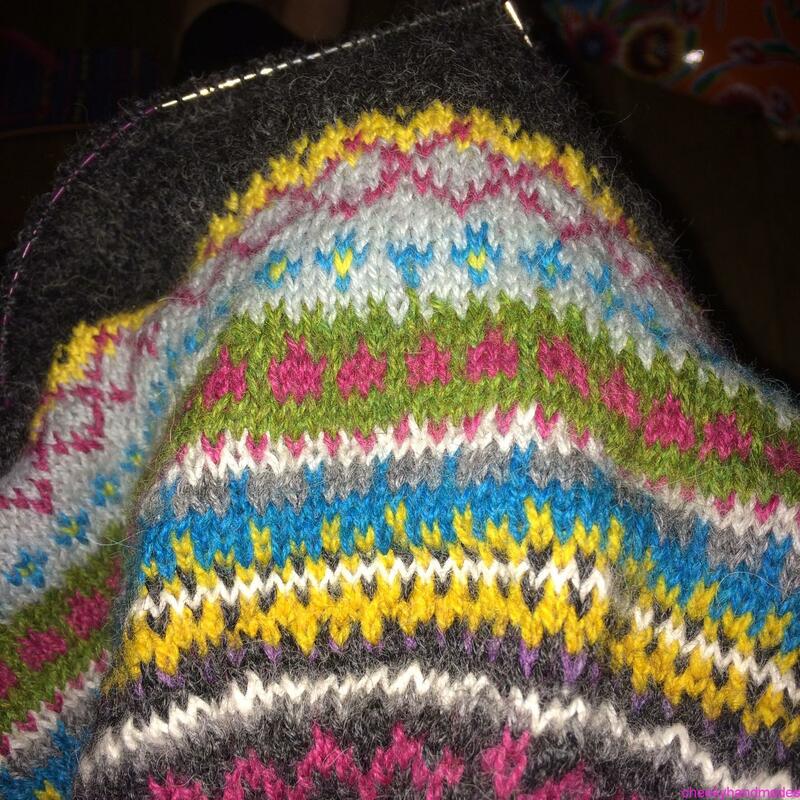 I started knitting this as a jumper after coming back from Arisaig n the west coast of Scotland in summer 2015, then decided to turn it into a poncho. It’s knitted with 2 ply alpaca yarn and skinny needles so progress is s l o w but this year I WILL finish it. 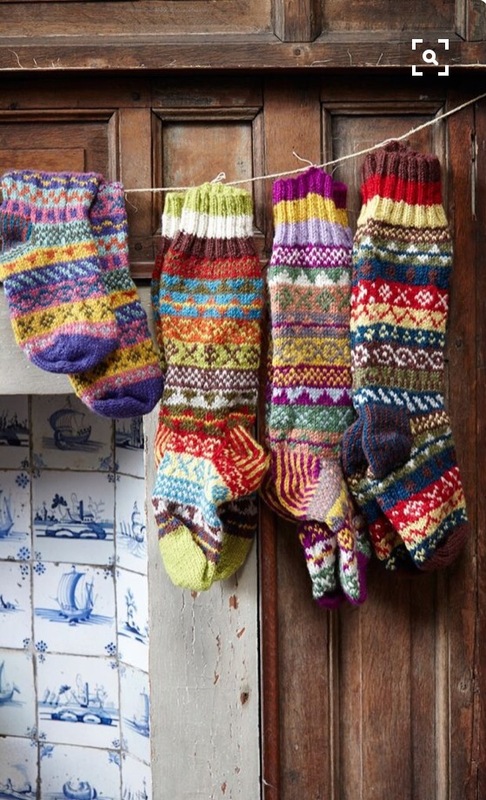 Below are some lovely fair isle inspirational photos. 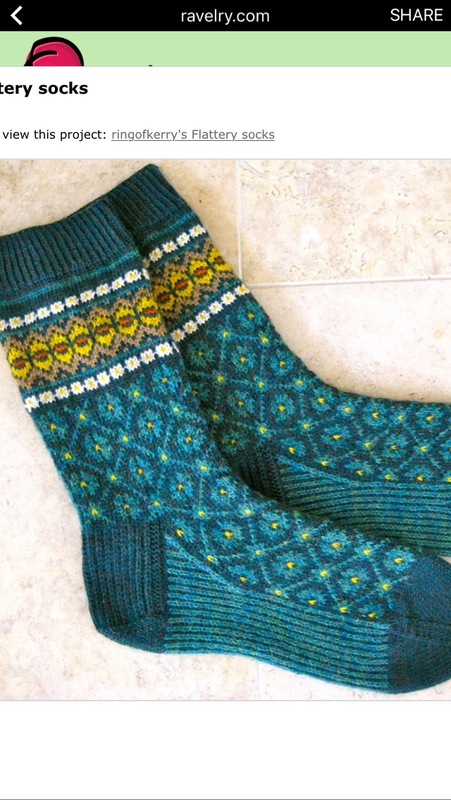 Maybe I will even knit another fair isle cardigan too! 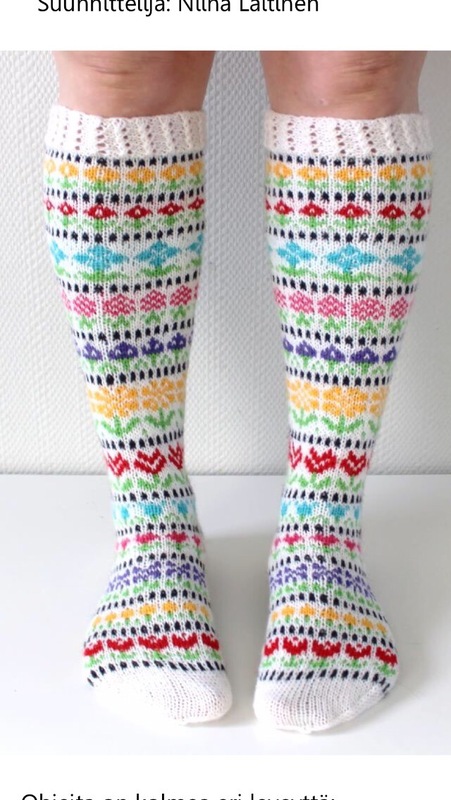 This year I WILL knit myself some fun and lovely fair isle socks! I want to make at least one more pair of Ginger jeans, as they are just such a good fit. Some more bras too as I haven’t finished ANY this year and I have enough fabric and elastic to make about 20! 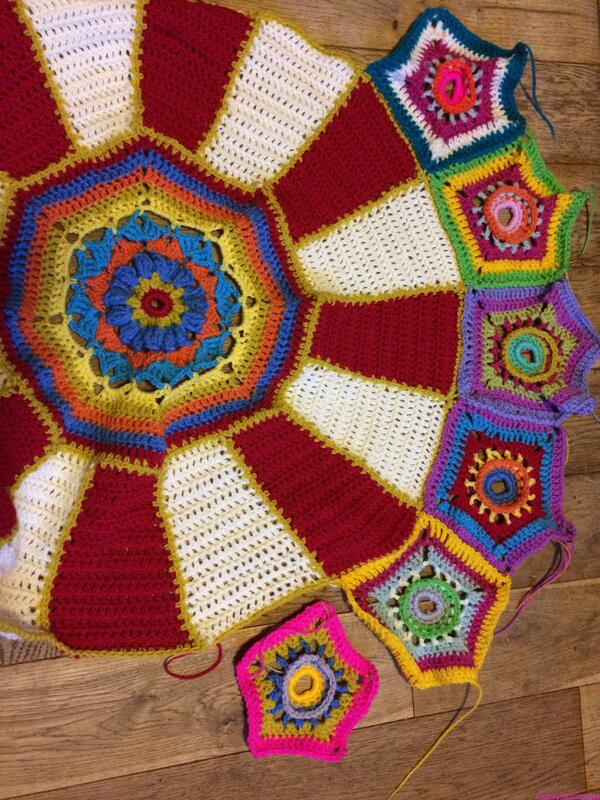 I am very close to finishing the Sue Pinner Carousel blanket, just a few more pentagons and the final rows. January. Promise. I’m getting married in September and of course it’s going to be a handmade affair! 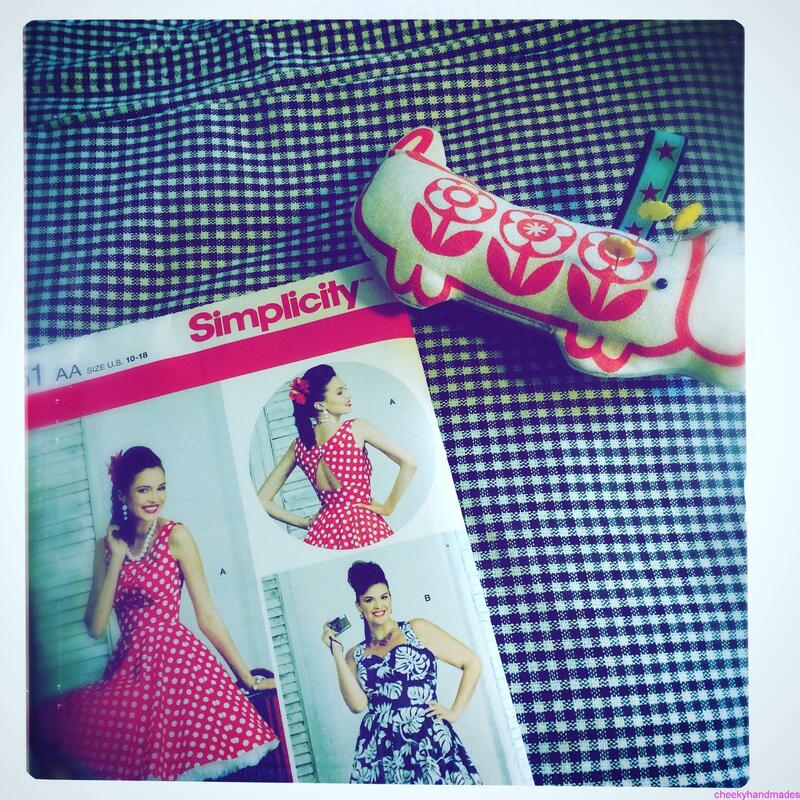 I am making the dress, have started making a test of this 50s simplicity dress to see if it works. 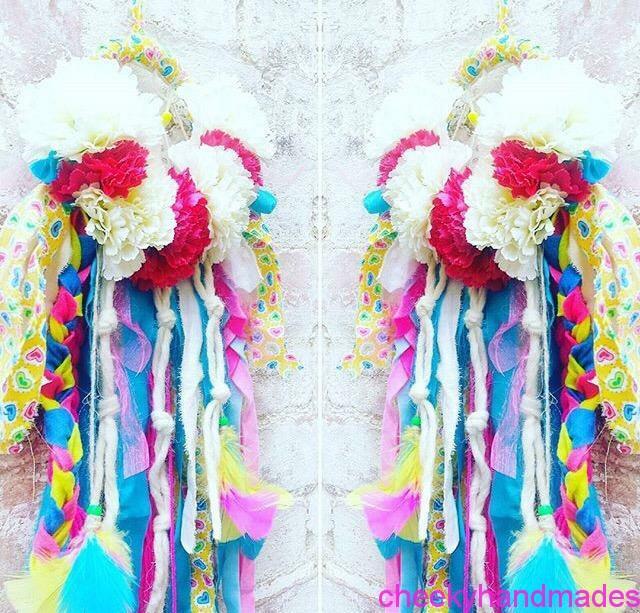 I also want to make a fabric/ yarn bouquet, all the bunting and poms poms and other decorations. Watch this space. I will try finalise everything in the summer holidays. Having bought this funky shiffon cat fabric for next to nothing on the market I want to make a summery tunic dress with it. I have long wanted to make a spider’s web quilt and seeing the pattern for the quilt turn up on Instagram reminded me. I have tons of scraps I can use I haven’t made a quilt since spring of this year so this will be timely. 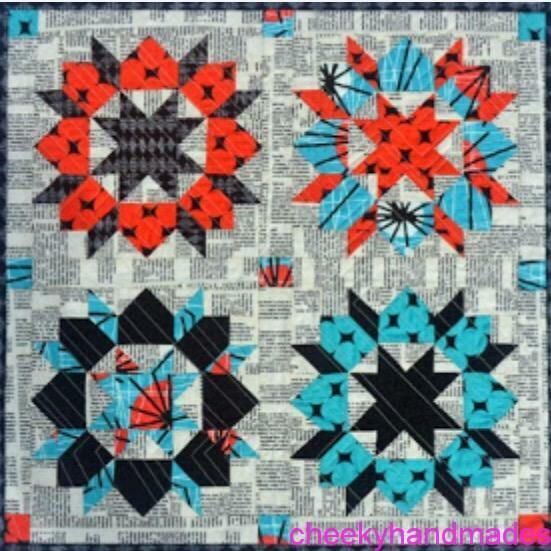 I have had the Swoon pattern for a few years now. 2017 will hopefully be the year I will make one! 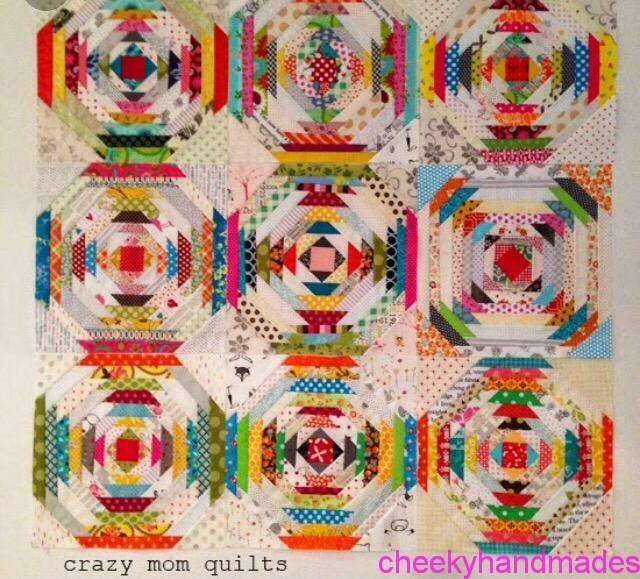 This coming year I also want to make a modern wedding ring quilt. I especially love the scrappy and fun grey one on the left. 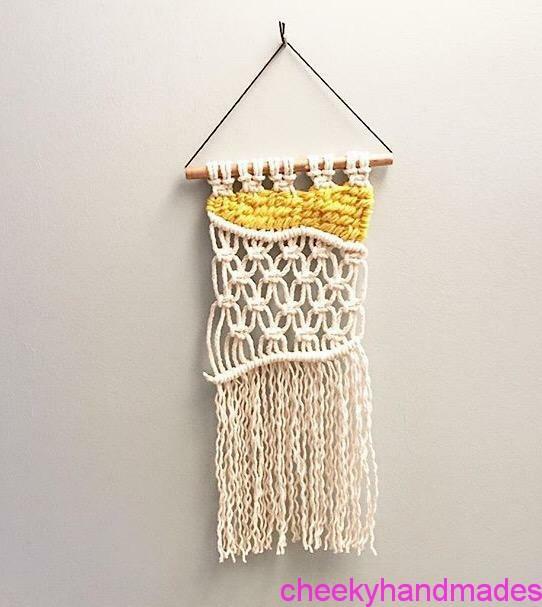 A few months ago I learnt to macrame. Plant pot holders don’t really do it for me but I have seen some great wall hangings I would like to try my hand at. Another quilt block I would love to try is the pineapple block. 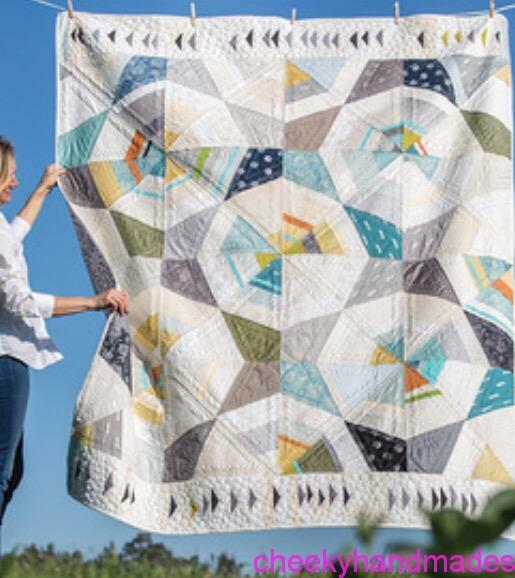 I do think it would test my patience severly to make a whole quilt out of it as it’s rather time consuming but maybe I will make a mini quilt? Last but not least next year there will be another e17 art trail. The theme this time will be STEAM, how the arts and sciences interact. I have all kinds of plans for mathmatical crochet and quilting. This will no doubt occupy a lot of my thinking and time in the months, no really, realistically the weeks leading up to the Art Trail. Am excited already!